Why would the Winchesters be after you? Hate them. They should all burn in hell fire. Final question - Thoughts on love and romance? They should be felt by all. You are protective and loyal to what you believe in, however, you may come across complications in your lifetime you will no doubt work through them to end with the best solution for you and your family. You have a great sense of humor but can get carried away sometimes. You are very loyal to what you believe in but care for your family more. You may have some trouble within it but eventually you will work things out. You are somewhat of a rebel and tend to bend the rules. If you run away you will find yourself but eventually realize it was wrong and come back to where you belong. You are rebellious of authority and your family even though you love them. Sometimes you feel no one understands you but eventually they will come around and you will all work things out or put your problems aside. You are a leader and are extremely loyal to your family and authority. You are the one to command or lead a family or a group of friends to help sort out problems or even create them. You are controlling but efficient. You believe yourself to be a good leader, however, if you are in control power may tend to go to your head. Be careful, if this does happen someone will rise above you and show you your place. 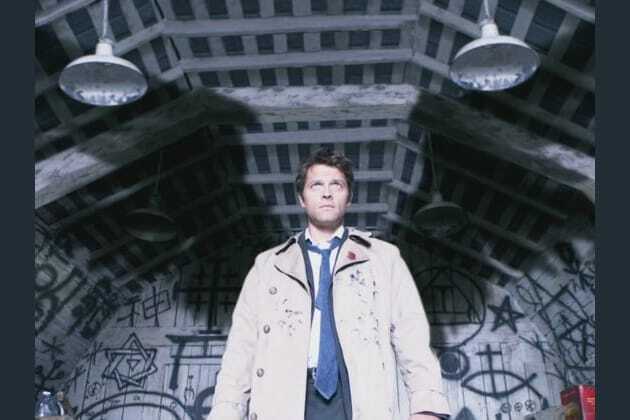 Which angel are you from the show Supernatural?